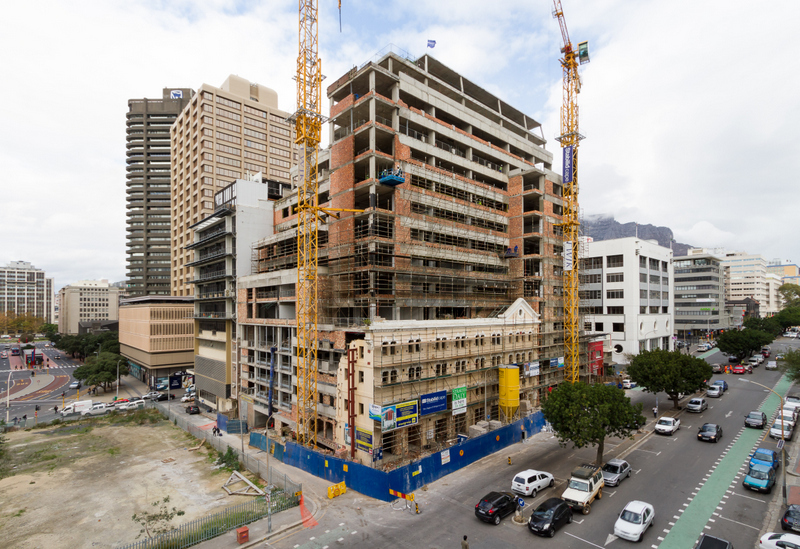 Armstrong added that completion will be achieved on time and within budget on this 11,700m², R220m office and retail development which incorporates the facade of an old warehouse built in 1895 that now houses parking levels plus retail shops on the ground floor. Armstrong added that letting of the available office space was progressing well and he expected the building to be fully occupied within a few months. 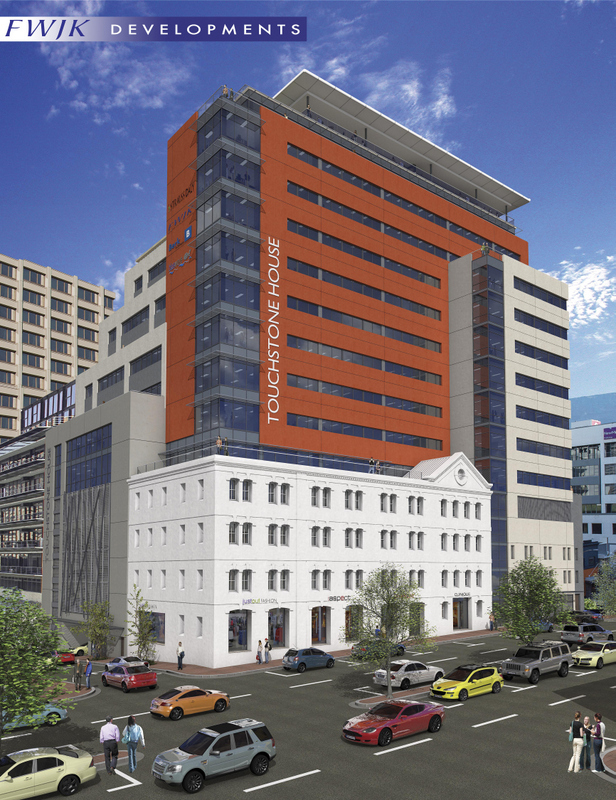 He advised that the final costs of this Sectional Title office development undertaken on FWJK's Co-development at Cost Methodology had come in under R19,000 per m² including three parking bays per 100/m² which was an unbeatable price and incomparable to any other similar Sectional Title A Grade office offering on the market in Cape Town.